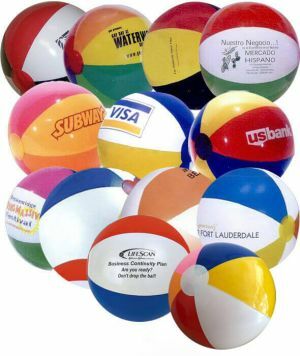 Our Promotional 16" beachballs is our classic standard size beachball, which is also our customers' all time favorite! 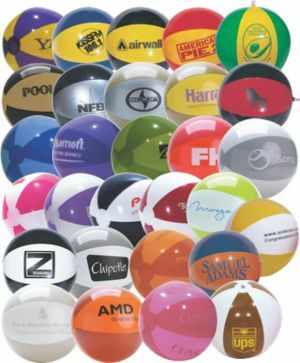 These inflatable branded beachballs are perfect for all occasions and will make a splash at all your events. 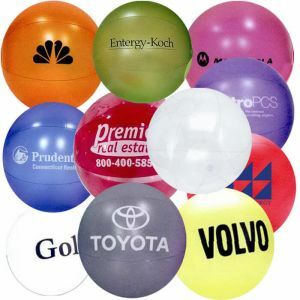 Print beachballs with us today and see your brand name soar. 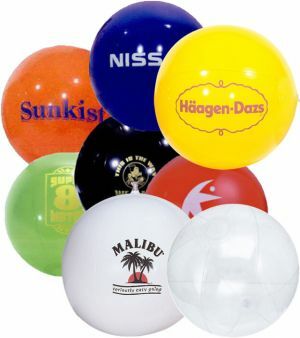 Our custom beachballs are great quality balls mostly printed here in the USA. You will also be delighted with our cheap prices and fast production times. 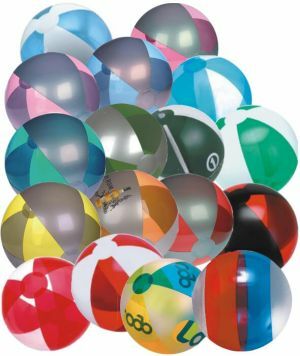 Our customizable classic size 16" printed beachballs are perfect for kids of all ages. 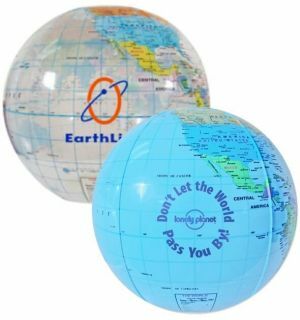 These inflated printed beachalls bring joy and fun to your clients as you see them having a ball with them at your event. 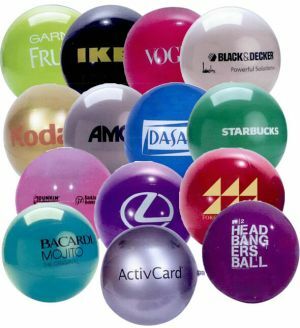 Your customers will surely appreciate these great giveaways! 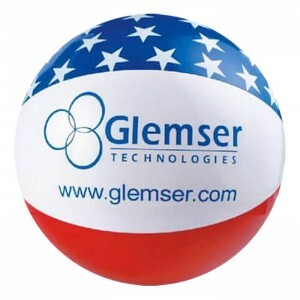 We have a huge variety of beachballs available in the 16 inch size - patriotic beachballs for July 4th events, sport beachballs - which includes baseballs, soccer balls, footballs, basketballs, golf balls, and volley balls, as well as globe or Earth beachballs so appropriate for events like Earth Day. 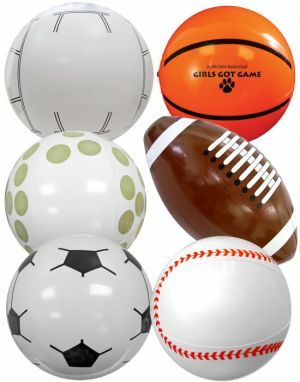 Besides company events, these are also perfect for more personal occasions and parties like birthdays, weddings, baby showers, pool parties, bah mitzvahs, and other celebratory happy events. 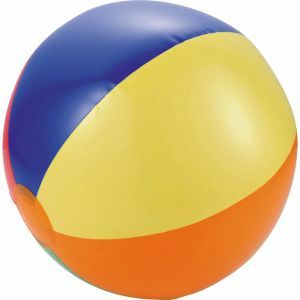 Do note that the standard way to measure beachballs in the US is to measure it from pole to pole along the arc when the beachballs are fully inflated. 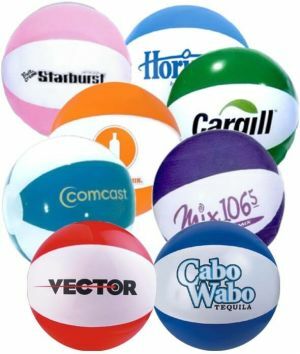 Our custom 16" logo beachballs have low set-up prices and fast turnaround. If you have a rush event coming up - no problem! We will do everything we can to deliver them to you in time to make your evet a success. Just call our expert customer service hotline and we will help you from start to finish. 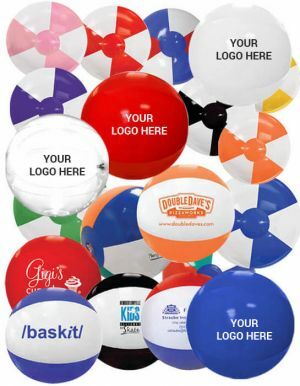 Order these campaign beachballs today.